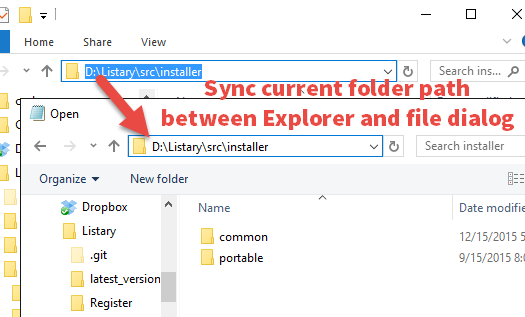 Listary – A truly amazing and polished search utility that is somewhere between a launcher and a file manager, both but neither. Listary lives next to your major file management apps and makes managing their lists and finding files a breeze. Really something special and worth your download. that makes finding your files and launching applications blazing fast, for casual and power users alike! All With Simple Key Commands Or The Click Of A Mouse! Can Make Your Workflow Lightning Fast! 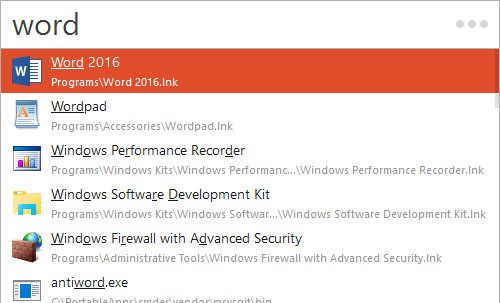 The best productivity tool ever for Windows! Let me be short about this: GET THIS TOOL ! 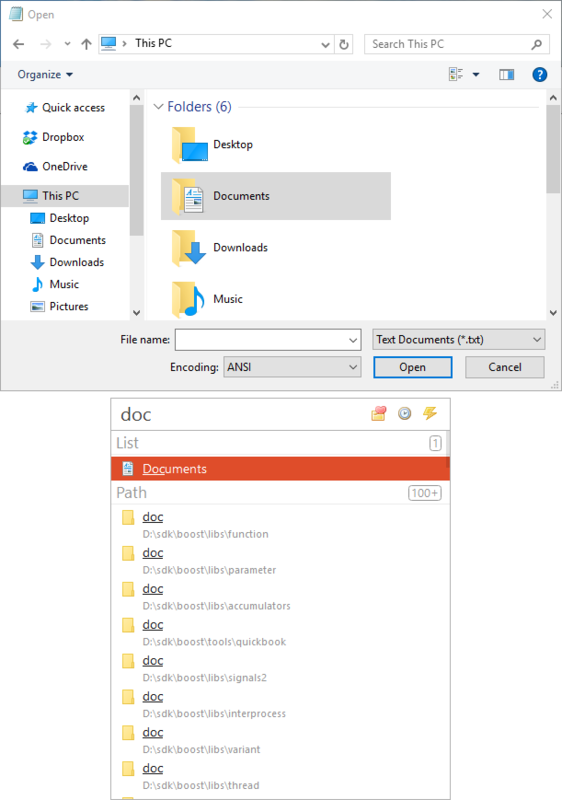 It will make file/folder management a much more pleasant experience. I have listary pro and have been using it for two years. It is indispensable. I use it daily. Once you start using it, you will feel completely lost without it. You need this tool. I already bought 2 licenses, this is how much I LOVE it, it’s just incredibly helpful throughout everyday tasks. It’s brilliant & very innovative !!! 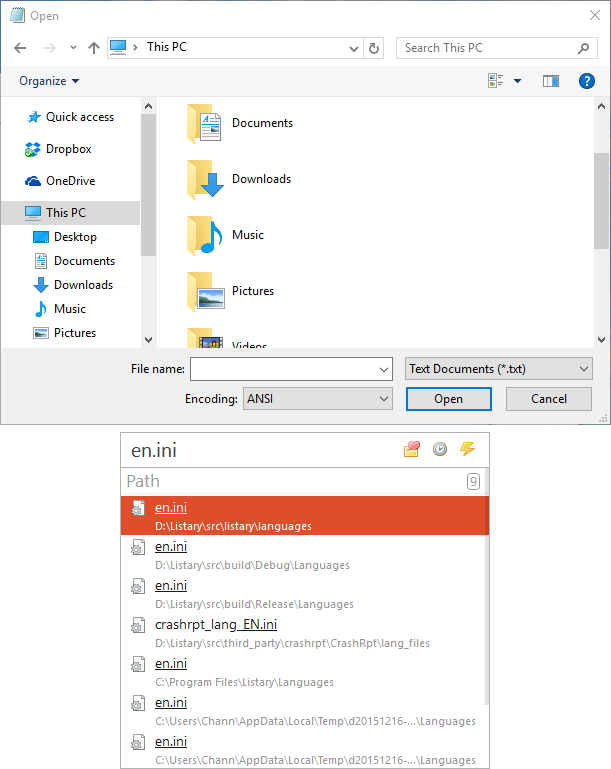 Noted as one of Listary’s most powerful search functions, simply start typing the name of the file or folder you need, from practically anywhere within the Windows OS environment. 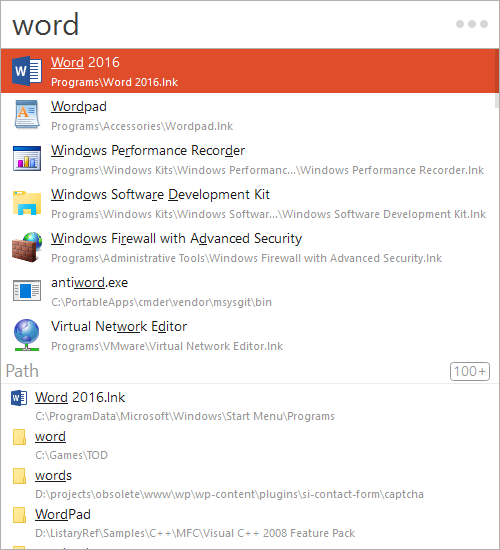 The “Find As you Type” function immediately opens a Listary browser window with a list of matching files, folders or apps. 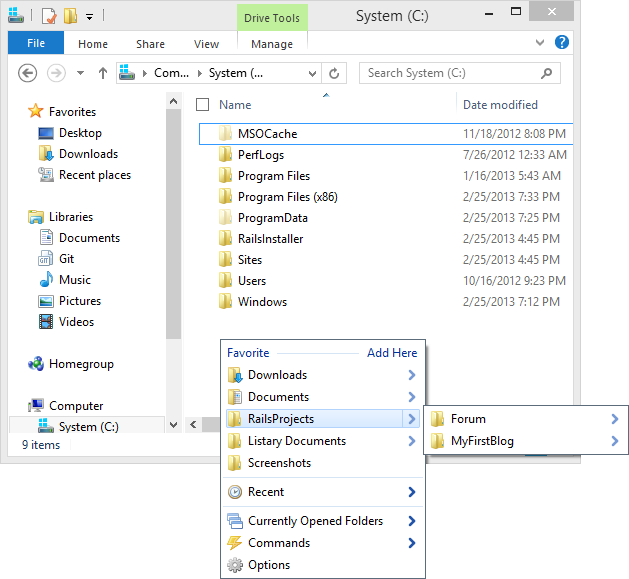 Disk Search let’s you quickly find files and folders across every drive on your system. 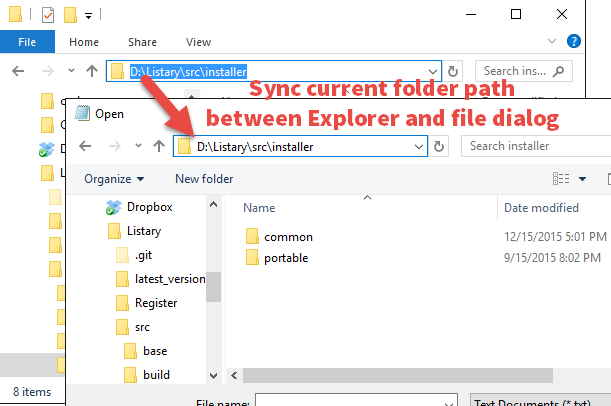 Instead of Window’s default needing to select one drive at a time, simply open an Explorer window or start typing in an existing window, and Disk Search will find exactly what you’re looking for, on any drive attached to your system, at blazing fast speeds. One of the most powerful and favorite benefits of Listary users is the Launch App feature. 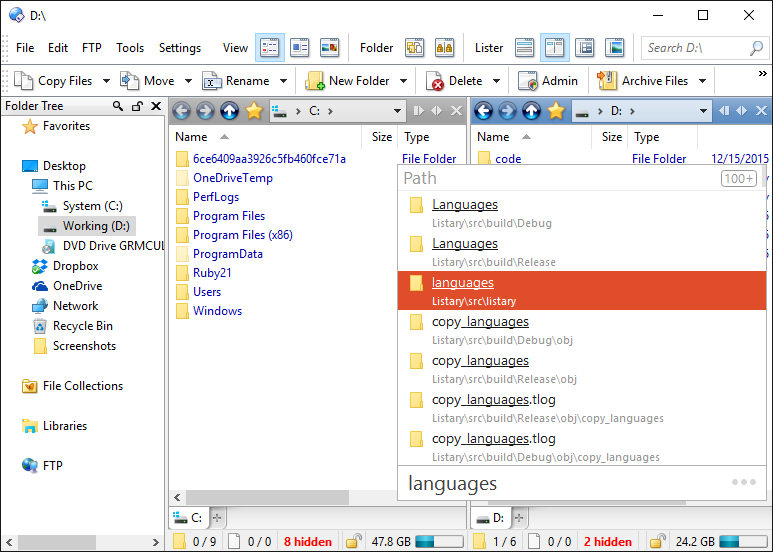 With two clicks of the Ctrl key, you can type the name of the program or application you want to open, or use a shortcode, click return, and Listary opens the program. For example click Ctrl twice, then type ‘Word’ and Listary will open Microsoft Word. Or, type ‘pp’ for PowerPoint, ‘ps’ for Photoshop, and voila! Listary opens the program! And it just gets better over time. Listary uses your launch and search history to refine and improve search results automatically, creating an even faster workflow the more you use it. 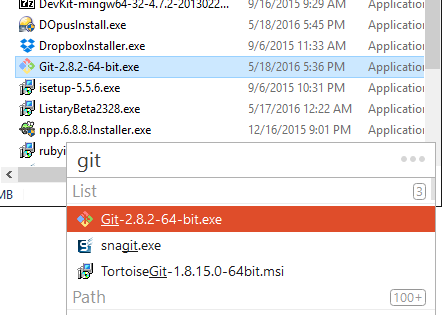 Are you tired of digging through a slew of open windows to work with files in a program? 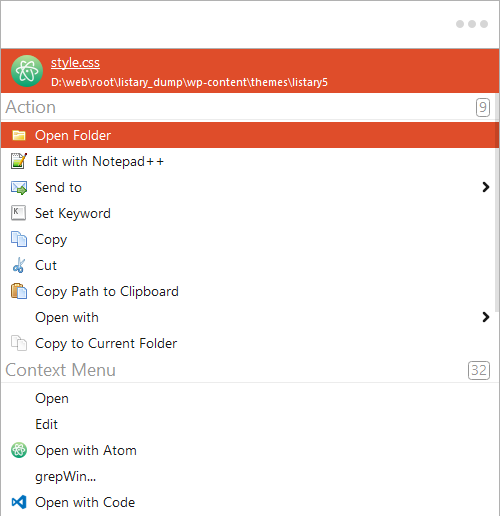 With Listary’s Quick Switch feature, just click Ctrl+G to instantly jump to the open folder of the file you’re working with. 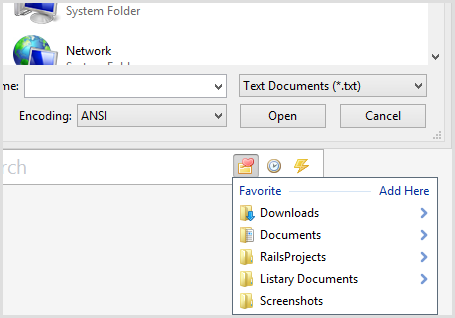 Inside any Listary search menu, all you have to do to manipulate a selected file or folder is simply press the right-arrow key. 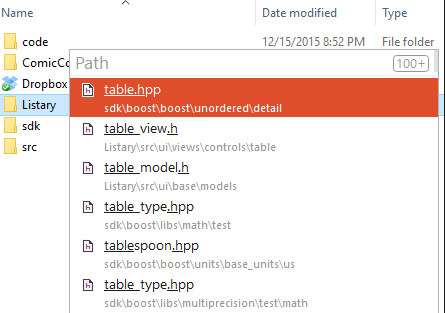 Immediately you’ll see the file’s context menu pop up. From there all of Listary’s commands are at your fingertips. Fewer clicks means faster workflow! 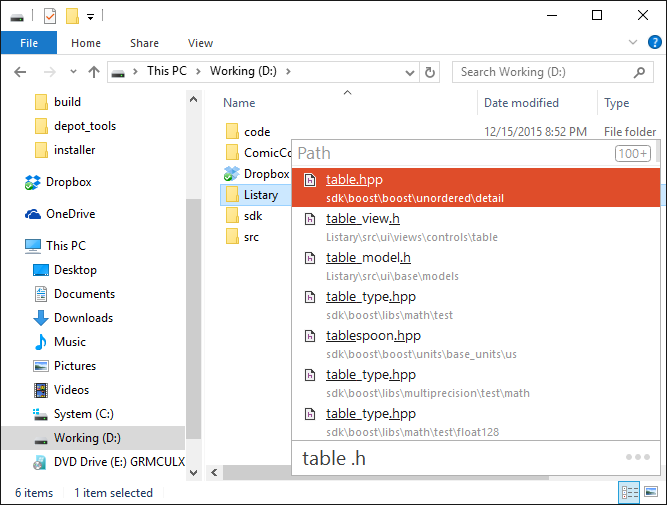 Something long missing from Windows is the ability to quickly and easily access a selection of your favorite folders and a history of previously opened windows. 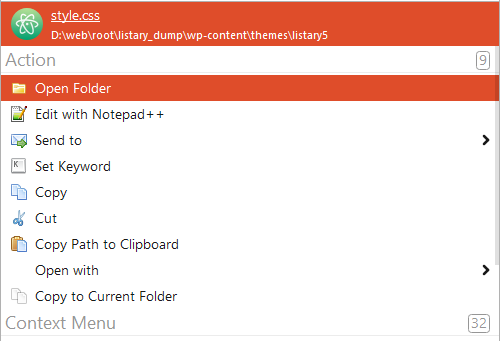 Now with Listary’s Favorites & History function, you can add folders to a Favorites section and browse window history with the click of a button for easy access. Just like the Bookmark function in your favorite web browser. Keep your workflow lighting fast and efficient! 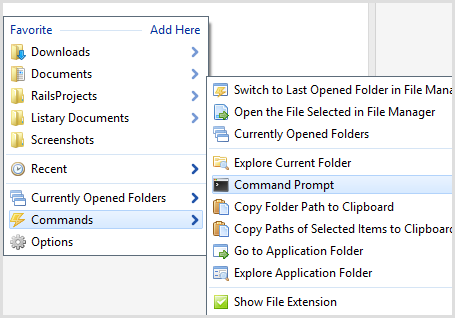 Using Listary’s Command functions, you can use a set of hot-key commands to quickly complete tasks such as Open Last Folder, Explore Current Folder, Copy Folder Path, Go To Application Folder, Export List to CSV, Show Hidden Files and more. 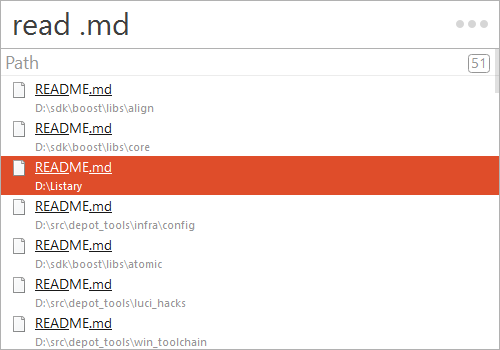 All using a single click or key command. Using the powerful Listary Keyword engine, you can type your search directly in Listary’s command window to launch a browser window for any website or search engine. Instead of clicking or tabbing over to a browser, all you have to do is click Ctrl twice to launch Listary and start typing your Keyword search. For example “gg how to write html” will open Google search results for “How to write html” in your favorite browser. Listary includes a plethora of keyword queries for popular sites such as Twitter, Facebook, Wikipedia, Youtube, Bing, Amazon, Google Maps and many more. 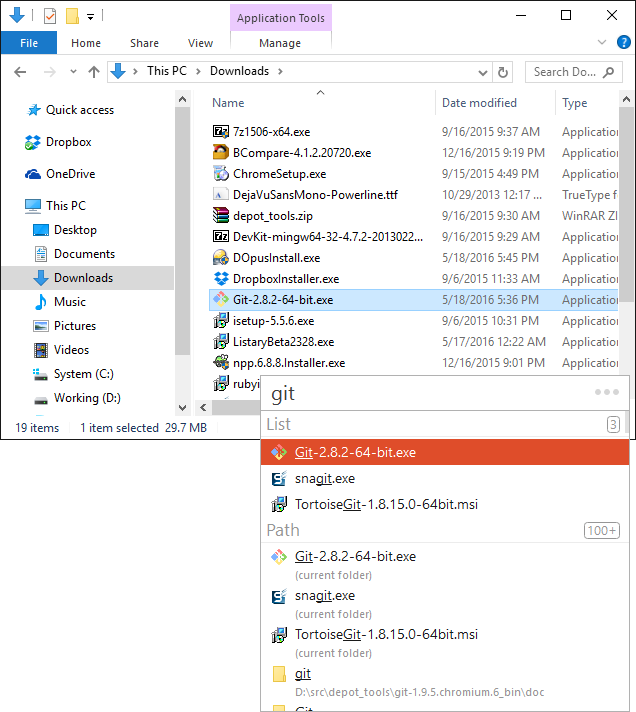 Like waving a wand to access whatever you need, Listary’s Mouse accessory lets you double-click anywhere in the Windows environment to open a power menu with all of your most frequently accessed files and folders, as well as disk menus. 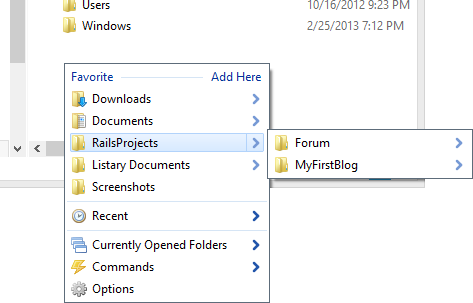 Or simply click the Ctrl key twice to open a Listary search toolbar on-screen. you’ll kick yourself for wasting so much time up till now! Getting Your Work Done Quickly!